Cork singer/songwriter Cormac O Caoimh proudly waves the flag high. Not only the flag of the nation, of belonging among the family of Cork musicians but surely of the songwriting as a craft. His songs clearly show he’s mature as a songwriter, plays with melodies and with words creating something unique that makes it difficult not to sing along to even though you don’t know the words. Songs are catchy and simply force you to pay attention to the lyrics. 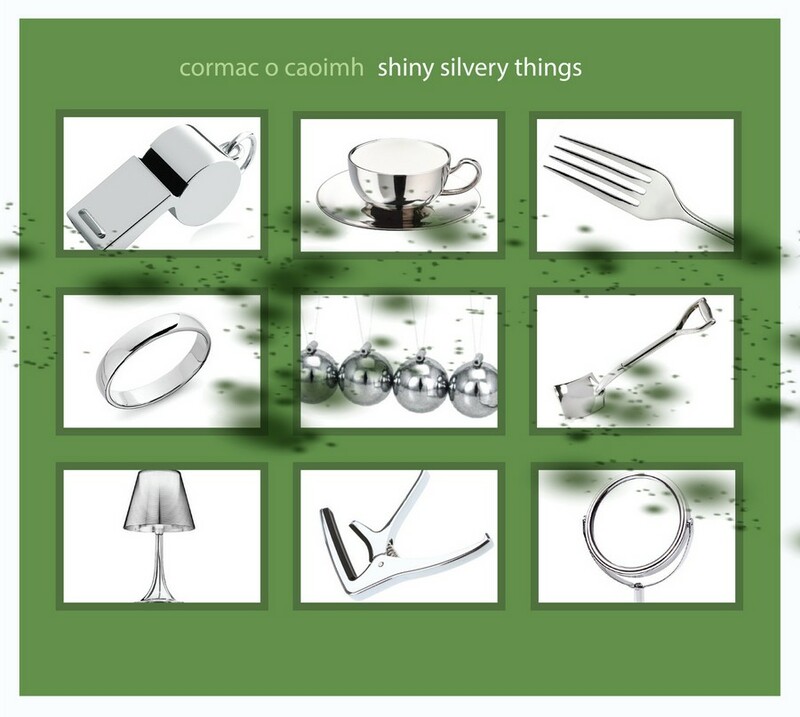 The new album Shiny Silvery Things, fourth solo for the man himself, is no exception. Each song is special in its own way so it wouldn’t make sense to enter into details in every single one. There are contrasts between slow and intimate songs (Born) and more lively ones (Proud) but one thing remains – the personal touch where you think Cormac is singing just into your heart. It’s the vocal in Hey you that brings the definition of songwriter to its fundamental point. It’s honest, personal, complete. O Caoimh shows it in every single track that he knows what he’s doing, why he’s doing it and that he couldn’t be doing anything else no matter how hard he’d try. One can’t help but feel certain sadness or nostalgia while listening to the album. This doesn’t mean the songs are sad. They aren’t. And when you start to feel that way, the next song pulls a different string in your heart and you immediately feel like Alice in Wonderland. Let’s be enchanted!